Southeast Bank mission is to continue our support for expansion of activities at home and abroad by adding new dimensions to our banking services which have been ongoing in an unabated manner. Alongside, we are also putting highest priority in ensuring transparency, account ability, improved clientele service, as well as our commitment to serve the society through which we want to get closer to the people of all strata. Winning an everlasting seat in the hearts of the people as a caring companion in uplifting the national economic standard through continuous up gradation and diversification of our clientele services in line with national and international requirements is the desired goal we want to reach. After doubling itself in size and soundness Southeast Bank Limited has been consolidating its position and preparing itself for the new millennium by upgrading technology, training its work force, restructuring organizationally and creating a new work culture. Ensuring highest standard of clientele services through best application of latest information technology, making due contribution to the national economy and establishing ourselves firmly at home and abroad as a front ranking bank of the country have been our challenge. We emphasize on professional ethics. We maintain quality at all levels. We say what we believe in. Southeast Bank Limited is a listed scheduled bank in the private sector and established under the ambit of Bank companies Act 1991 and incorporated as a Public Limited Company under the Companies Act, 1994 on March 12, 1995.The Bank started commercial banking operations effective from May 25, 1995.During the short span of time the Bank had been widely acclaimed by the business community raging from small entrepreneurs to large business houses and industrial conglomerates, including the top-rated industrial borrowers for visionary business outlook and innovative financing solutions. Thus within this period of time the Bank has been able to create an image for itself and has earned significant reputation in the country’s banking sector as a bank with vision. The Bank has been sponsored by a group of eminent entrepreneurs of the country headed by Mr. Alamgir Kabir (FCA), Chairman of the board of Directors. Currently it has 19 branches operating at the strategic location of the country. 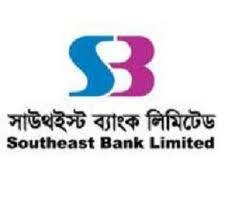 In the third generation bank SBL has an excellent financial performance in the new comers. All stock market indicators reflect sound financial base of our Bank namely Earning Per Share (EPS), Trend of Dividend Declaration, Net Asset Value Per Share (NAV), Cash Flow from Operation, Balance in Share Premium Account, General Reserve, Price Earning Ratio (PE) etc. The shareholders of Southeast Bank Limited look for satisfactory return on their investment for the long term and carefully evaluate the fundamentals of a company before making investment. Table: Ownership of Company’s Securities by the Members of Board of Directors. Chairman of Southeast Bank is Mr. Alamgir Kabir, FCA, Vice chairman Mr. Ragib Ali. And the Bank have another 14 director. Mahbubul Alam, Managing Director of the Bank in his address of welcome in the AGM highlighted the Bank’s operational performance in 2011 and outlined the future plans and programs to be undertaken by the Bank to boost up operational efficiency and profitability of the Bank. The AGM witnessed a lively discussion on the Bank’s operational performance. The Bank earned an operating profit of Tk.6, 085.66 million in 2011. As on 31st December, 2011 Bank’s total deposits amounted to Tk.127, 178.22 million, its total assets reached Tk.158, 078.59 million, Earning per Share (EPS) was Tk.2.33, Net Asset Value per share was Tk.23.30 and Net Operating Cash Flow per share was Tk14.40. The Price Earning Ratio of the Bank was 12.88 times in 2011. The Capital & Reserves of the Bank soared to a record high of Tk.19, 000.06 million as on 31st December 2011. The Bank maintained a capital adequacy ratio at 11.46 percent as on 31st December, 2011 against requirement of 10 percent set by Bangladesh Bank. Credit Rating Information and Services Limited (CRISL) rated the Bank AA- (Double A Minus) for the long term and ST-2 for the short term based on the financial statements of the Bank for the year 2010. Their rating for the long term remained valid up to 1st June, 2012. It was disclosed in the meeting that the Credit Rating of the Bank for the year 2011 has been assigned to Credit Rating Information and services Limited (CRISL). Their rating will be disclosed to the regulators and in the print media as soon as it is received. In the 17th Annual General Meeting, the shareholders by their unanimous votes approved 15% Cash Dividend and 5% Stock Dividend (Bonus Share) to the shareholders and the financial statements of the Bank for the year 2011. They also re-elected Directors and approved appointment of external auditors for the year 2012. Chairman Alamgir Kabir appreciated the shareholders for their continuous support and co-operation to the growth of the bank. He assured them of implementing gradually the constructive suggestions put forward by them in the meetings to enhance bank’s income and image. Southeast Bank Limited was established in 1995 with a dream and a vision to become a pioneer banking institution of the country and contribute significantly to the growth of the national economy. The Bank was established by leading business personalities and eminent industrialists of the country with stakes in various segments of the national economy. The incumbent Chairman of the Bank is Mr. Alamgir Kabir, FCA, a professional Chartered Accountant. Mr. M. A. Kashem a member of the Board and Mr. Yussuf Abdullah Harun were past Presidents of the Federation of Bangladesh Chamber of Commerce and Industries (FBCCI). Southeast Bank is run by a team of efficient professionals. They create and generate an environment of trust and discipline that encourages and motivates everyone in the Bank to work together for achieving the objectives of the Bank. The culture of maintaining congenial work – environment in the Bank has further enabled the staff to benchmark themselves better against management expectations. A commitment to quality and excellence in service is the hallmark of their identity. Southeast Bank takes pride for bringing women into the banking profession in a significant number for gender equality. At present, 32% of SEBL’s employees are women that will rise to 45% over the next five years. The Bank has in its Management a combination of highly skilled and eminent bankers of the country of varied experience and expertise successfully led by Mr. Alamgir Kabir, FCA, a dynamic banker, as its Managing Director and well educated young, energetic and dedicated officers working with missionary zeal for the growth and progress of the institution. The most important resource of a financial institution like bank is its manpower i.e. human resource. Thus in the modern corporate world, human resource is considered to be a form of capital, a produced means of production and the product of investment. Keeping these objectives in mind, the Bank adopted a Human Resource Strategy for recruitment of employees, acquiring their services, developing their skills, motivating them to high levels of performance, and ensuring that they continue to maintain their commitment to the organization to achieve its goals. Southeast bank follows a comprehensive recruitment process regularly to hire talented, spirited, energetic and dynamic fresh graduates/Masters from reputed universities. Experienced bankers are also recruited at regular intervals on the basis of requirement to add more productivity in the day to day work. The vision and objective of the recruitment in each year is to develop Southeast Bank’s core cadre who would be able to take the responsibility as senior executives in future. To support bank’s expansion plan and to fill up positions created due to retirement and other administrative ground, we have recruited 165 Probationary Officer, Trainee Junior Officer and Trainee Cash Officer during the year of 2010. Total manpower of the bank as on December 31, 2010 stood at 1613 of which 126 are executives, 1247 are banking officers and staffs, and 240 are subordinate staff. The bank recruited a total 318 employees of which 57 were experienced bankers, 165 were fresh entrants and 96 Bank Guards in 2010. The bank promoted 266 officers during the year 2010. The Bank arrange orientation program as well as basic training to all fresh entrants to enhance their competencies in the field of modern Banking. The 2011 calendar year was a successful year for southeast Bank, in terms of remittance mobilization. The Bank ended 2011 by bringing USD 658 million in remittance recording 76% growth as compared to 2010 figures. In increasing remittance business, the bank focused on two aspects which are key to volume of remittance business namely, strengthening the structure, including the human resource and enhancing the network of correspondents both at home and abroad. Growth of the foreign exchange banking sector. Different consumer service scheme of the SEBL. Goodwill in foreign exchange management. Perform more quickly foreign exchange services. Strict government rules and regulation in foreign exchange management. Foreign exchange policy of competitive banks. Analysis: From the graph it has seen that the amounts of Southeast Bank Ltd disbursed in 2006 were 26110.09 million, 2007 were 37566.02million, 2008 were 44446.33 million, 2009 were 61692.21 million and 2010 were 93560.70 million. So, we can see disbursed year to year decreases. It indicates positive signal for the bank. In doubtful 2006 were 67.19 million, 2007 were 1118.46 million, 2008 were 539.46 million. We can see 2006 to 2008 year indicate 2009 were 236.78 million and 2010 were 145.98 million. So we can see that doubtful 2006 to 2009 it was increases that was negative impact of the bank. And 2010 were 129.040 million so it was decreases year to year increase so this is also the negative or bad signal for the bank. Again from the graph it has seen that the amounts of classified loan 2006 were 921.20 million, 2007 were 1846.38 million, 2008 were 2051.38 million, 2009 were 61692.21million and 2010 were increased to 93560.70 million. It indicates negative sign or bad signal for the bank. Performance means doing a job effectively and efficiently. Performance Evaluation System means a mechanism for improving the likelihood of the organization successfully implementing its strategy. It is a process to have the goal of strategy implementation. In this process senior management selects a series of measures that best represent the organization’s strategy.